FALL … A Clear Favorite! Fall is officially here and most of us couldn’t be happier. Autumn is, in fact, THE most popular season of our nation. A Gallup poll done a few years ago ranked it number one with Summer coming in 2nd, Spring 3rd and Winter 4th. This is the time of year when I remind everyone (myself included) about the power of letting go. Whether it’s stuff in your space, weight on your heart or things in your head – letting go brings clearer energy and renewed strength. Like leaves that release from their branches, Nature shows us that it is the letting go that allows for new growth to happen. So, use this natural energy to help you remove and restore on all levels. It’s SO worth it! Watch here for favorite tips on getting clear this season. Being grateful transforms our feelings of despair to ones of hope. We can go from a perspective of burden to bliss in an instant. This season of giving thanks seemed the perfect time to share my backyard alchemy experience – yet another example of the transforming magic of nature. We need only to still our busy-ness and observe the gifts around us to feel blessed. View more. Spiders usually evoke an “Eek!” response especially when they make a surprise visit. Or you inadvertently walk into one of their webs. But as with all of nature, they also have much to teach us if we take time to observe. Click here to find out what spider had to share at my place yesterday. Fun Fact: Did you know that all spiders can make silk but not all spin webs? They use the silk for a variety of purposes including protecting their young (spiderlings), catching prey and for shelter. Male spiders deposit their sperm into the silk and retrieve it later when they find a willing mate. Make natural connections for your home with ACP Wisdom Cards! The element of Water is all about change and transformation. The ebb and flow of energy. The clearer your space, the easier it is to allow for a natural flow. We are bodies of water living on the water planet. It doesn’t get more connected than that. Water is life giving, healing and a master at shape shifting. Use that power to help with transitions and changes in your life. If you’ve had a loss, bring water energy into your space to help in the release process. A tabletop fountain, images of a river, fish, boats or the sea. Colors include shades of blues and greens. Accent with glass, shells, pearls. Hydrate yourself and your home by misting with an energy spray or a mix of water and lavender essential oil. Check your plumbing, clean drains and gutters. Release, clear out and let go. And allow for life to unfold in wonderful ways. 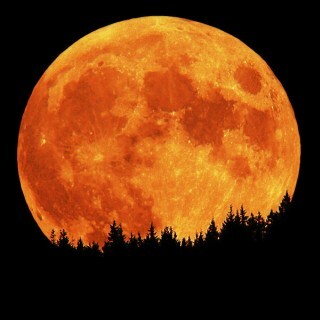 Corresponds to the season of Autumn, sunset and the direction of the West. 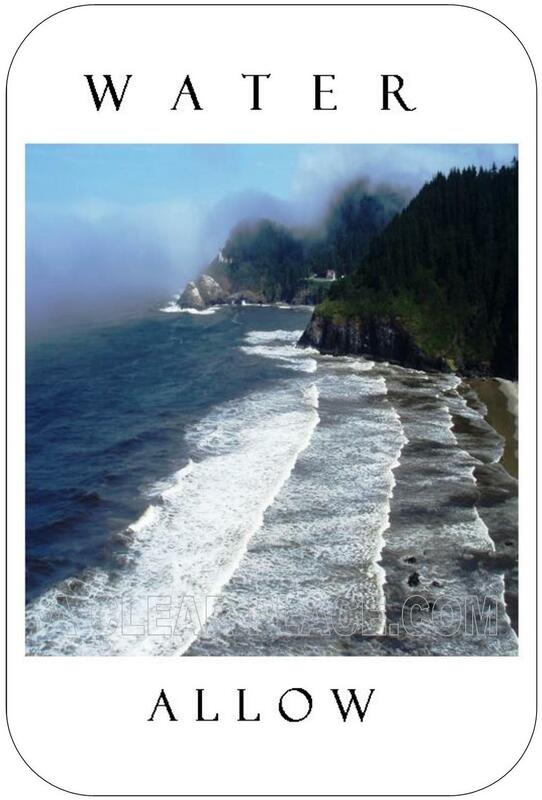 About this photo: Taken from a lookout point on the central Oregon coast. After a foggy morning, the mist cleared and the sun came out. The scene shifted from gray and black to blue and green within minutes. Magic. Want a clearer place? Get your deck of 34 Wisdom Cards and find simple ways to bring the beauty of nature into your space. Learn more here. 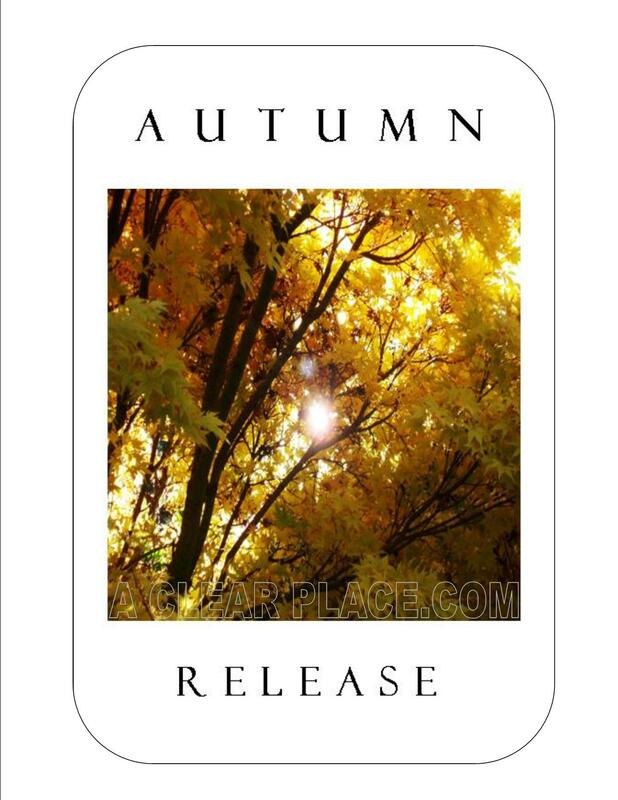 This week’s pick from A Clear Place Wisdom Cards is AUTUMN. Fall is all about releasing and letting go. Like the trees shedding their leaves to allow for new growth, it’s a great time to let go of all that stuff and clear your clutter. 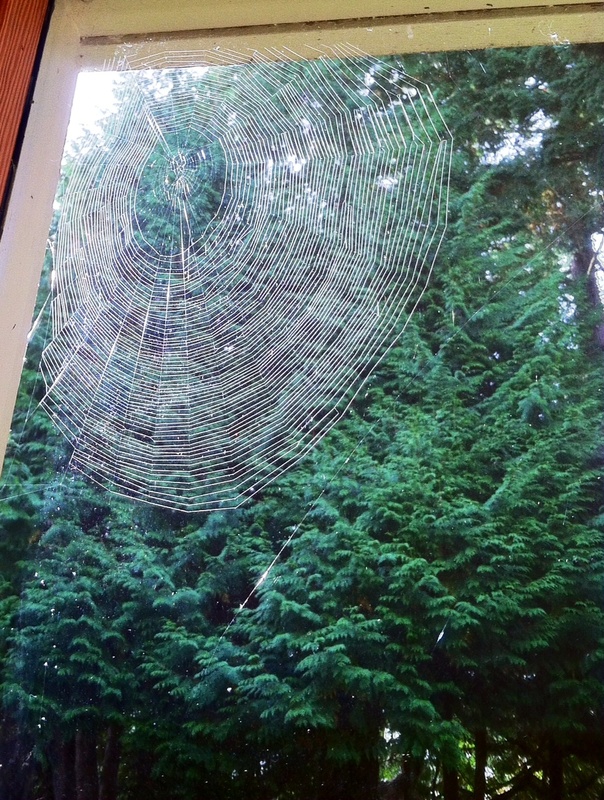 The energy of spider reigns now and teaches us to live simply. To be strong and focused but also willing to let go of what was in order to build anew. Git rid of what no longer serves you. Autumn honors the cycle of adulthood and being responsible caretakers of the land and our loved ones. In your home, use images of sunset, flowing water or fall scenes like this one. Diffuse essential oils of cinnamon, orange, clove and nutmeg. All of these blend well or use them individually. The Season of Autumn corresponds to the element of Water, the direction of the West and the time of sunset. 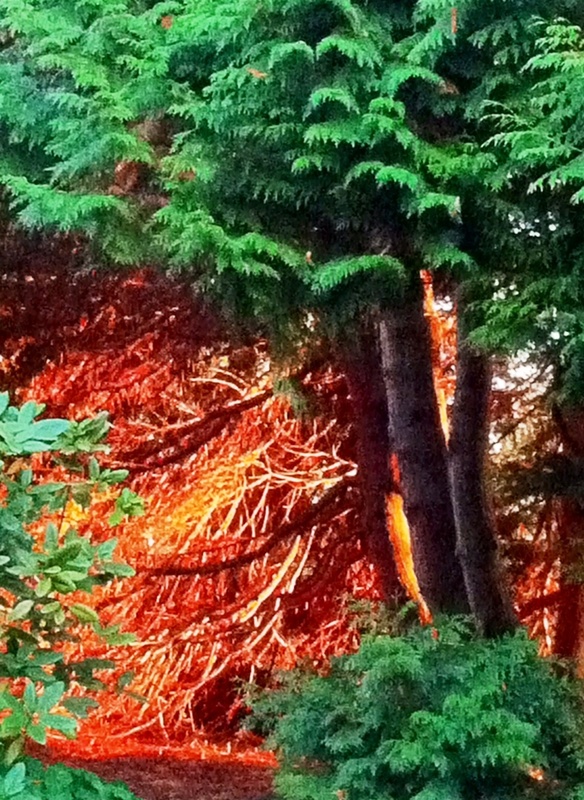 About this photo: I encountered this brilliant maple tree on a walk in NW Portland. The street below was blanketed in gold but there were plenty more leaves to follow in the weeks ahead. View more Wisdom Cards and order your deck today!